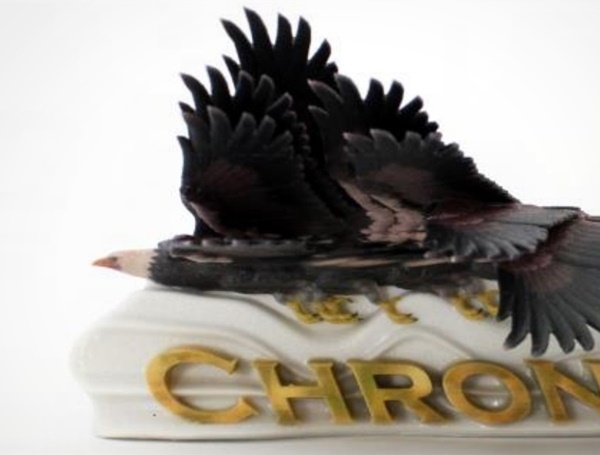 We present ChronoFab, a 3D modeling tool to craft motion sculptures, tangible representations of 3D animated models, visualizing an object’s motion with static, transient, ephemeral visuals that are left behind. Our tool casts 3D modeling as a dynamic art-form by employing 3D animation and dynamic simulation for the modeling of motion sculptures. Our work is inspired by the rich history of stylized motion depiction techniques in existing 3D motion sculptures and 2D comic art. Based on a survey of such techniques, we present an interface that enables users to rapidly explore and craft a variety of static 3D motion depiction techniques, including motion lines, multiple stroboscopic stamps, sweeps and particle systems, using a 3D animated object as input. In a set of professional and non-professional usage sessions, ChronoFab was found to be a superior tool for the authoring of motion sculptures, compared to traditional 3D modeling workflows, reducing task completion times by 79%.